The magical beauty of the Island offers two people in love an exceptional start to their new life together. If your tastes are a little different or unique, Mackinac Island is the place for your wedding. 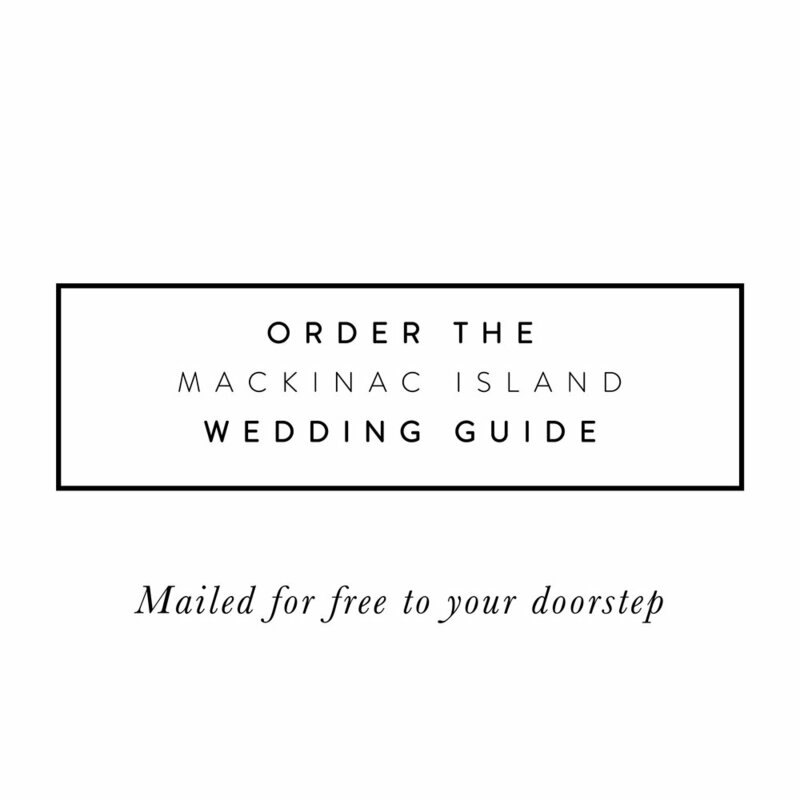 Your friends and family will remember your Mackinac wedding forever. These sites are not the only places on the Island to marry, as many smaller hotels and bed & breakfasts will reserve a place for your wedding. Additionally, weddings take place on the beach, in the wooded areas and on scenic vistas on any given day of the week. Eighty percent of the Island is State Park property, it is likely that if you wish to marry outdoors, you may be on State Park property. Weddings on this land are subject to a $150 permit fee. This includes the East and West Bluff and Marquette Park. Call the State Park office for details at 906-847-3328 and ask for the Haley Case, wedding coordinator.